HP isn’t a brand you’d traditionally associate with gaming. When I think of HP, I think of its Pavilion and Envy notebooks, and also enterprise stuff like printers and servers. But the company has come a long way in creating a niche for itself in the gaming space. The Omen brand is HP’s dedicated gaming line-up, and its devices shed the company’s corporate veneer in favor of a more upstart look that gamers tend to favor. This means aggressive designs and RGB lighting, in addition to a very distinctive tribal mask that serves as its logo. Those who follow developments in the industry will probably recognize it as the original Voodoo PC brand logo, which HP acquired back in 2006. 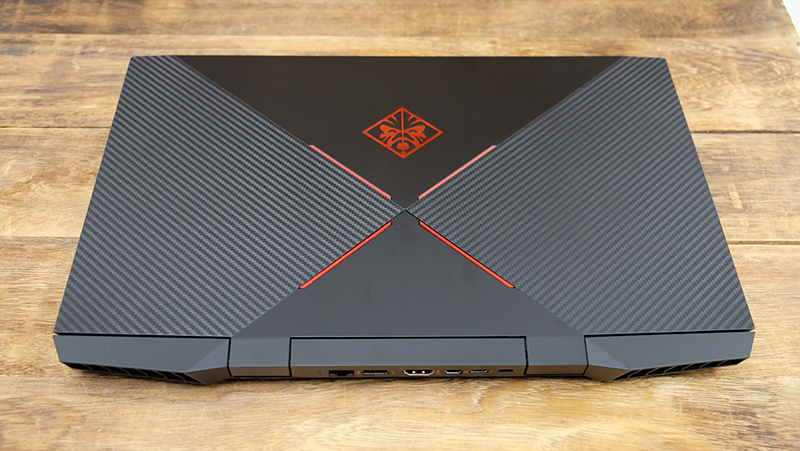 The latest Omen 15 laptop hews to a trend I’ve written about and reviewed extensively – slim and light gaming notebooks. It features a GeForce GTX 1070 Max-Q, so it’s competing directly with laptops like the Razer Blade (2018) and MSI GS65 Stealth Thin. The above will cost you S$3,599, which is actually a pretty competitive price. It’s at least a couple of hundred dollars cheaper than its competitors like the Gigabyte Aero 15X and MSI GS65 Stealth Thin, so HP is starting out with an advantage on the pricing front. But how good is it really? We take a closer look at the laptop over the next few pages.